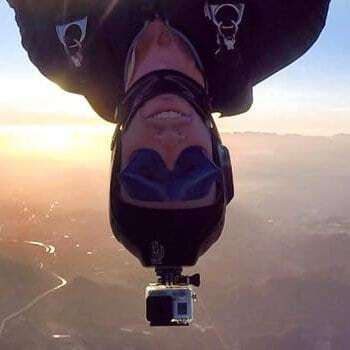 Skydive Robertson welcomes visiting experienced jumpers to arguably the most scenic dropzone in South Africa. Directly north of the DZ we have Arangieskop, which at around 5500 feet, is called the The Everest of the Western Cape by many. Further on to the north west we can see the Matroosberg maintains, which in winter we can see covered with snow. To the south we can see Cape Agulhas, where the Indian and Atlantic oceans meet. To the west, on a clear day, we can see the majestic Table Mountain. And at this point we haven't even mentioned the 50+ vineyards we see directly below us as we make our ascent to altitude. So if you like something to see while you are climbing and waiting to exit, you simply cannot beat Skydive Robertson for the impressive scenery. When you arrive a jumpmaster will provide a dropzone orientation, and manifest will be happy to point out riggers, camera flyers, or the regulars who enjoy whatever discipline you prefer. Of our members are a mixed bunch who freefly, wingsuit and do formation skydiving. If you are a visiting jumper with foreign association membership please read our notes for experienced foreign visiting jumpers. Since we’re a good way out of the Cape Town, most people make a weekend of it. Camping at the airfield is for free for all jumpers, and we have some basic catering facilities. On Saturday evenings we generally braai (BBQ), and the atmosphere around the fireplace is renowned country wide and a tradition we’ve kept on from our roots in Citrusdal. The town of Robertson offers restaurants, a host of B&Bs and many wine farms in the surrounding areas. For entertainment, there’s skydiving, talking skydiving, watching skydiving, dreaming about skydiving, slacklining and WOP. The rules of WOP will be explained about three quarters of the way through your first game. Off of the dropzone, you’ll find hiking and cycling trails in the area, wine estates and many more. There is a tourism office in Robertson that can be consulted as well. In the dropzone shop we have the latest club and boogie t-shirts, hook knives, goggles, helmets, weight vests, altimeters, logbooks and bungies, plus lots of other shiny things you didn’t know you needed. 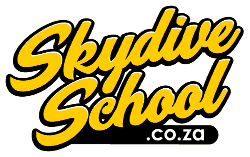 To jump at Skydive Robertson you must be a member of of the club and Parachute Association of South Africa (PASA). Visiting jumpers who are members of other associations are permitted to jump at Skydive Robertson with a temporary club membership. For more details see our Membership Costs page.